Walk in Wardrobes has materials for all your ideas and creative interiors. Here are 5 surface finishes that will show you how to achieve the wow factor. Sourced from the leading wood panel producers in Europe our laminated boards are as high in quality as they are in durability. The variety is stunning with everything from a core range of oak, beech and walnut through to drift woods and smoked finishes. These laminates are also available in smooth and textured surfaces. We also produce these wood finishes in the same high quality laminated board in solid colour finishes. 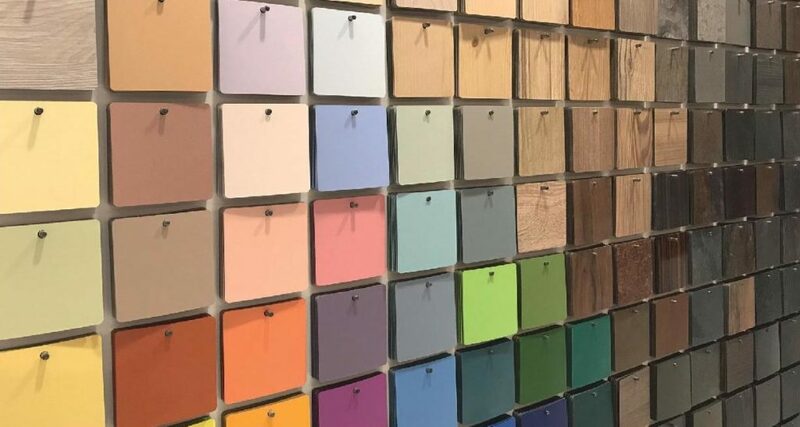 We have colours available across the spectrum in a variety of finishes including matt and gloss for the ultimate in clean line contemporary simplicity. 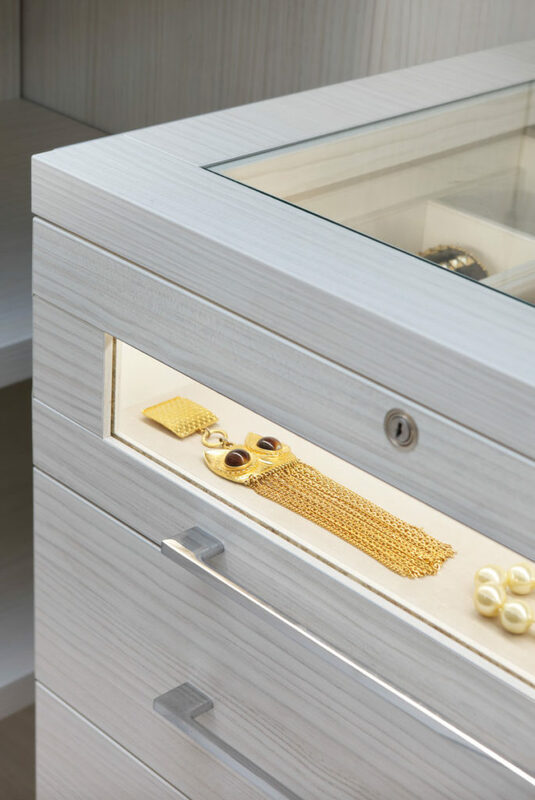 A great way to add luxury and create the illusion of space. We can offer a variety of mirror finishes in standard silver mirror along with tinted bronze and grey options. A beautiful way to soften the faces of doors or the interior of the wardrobes. 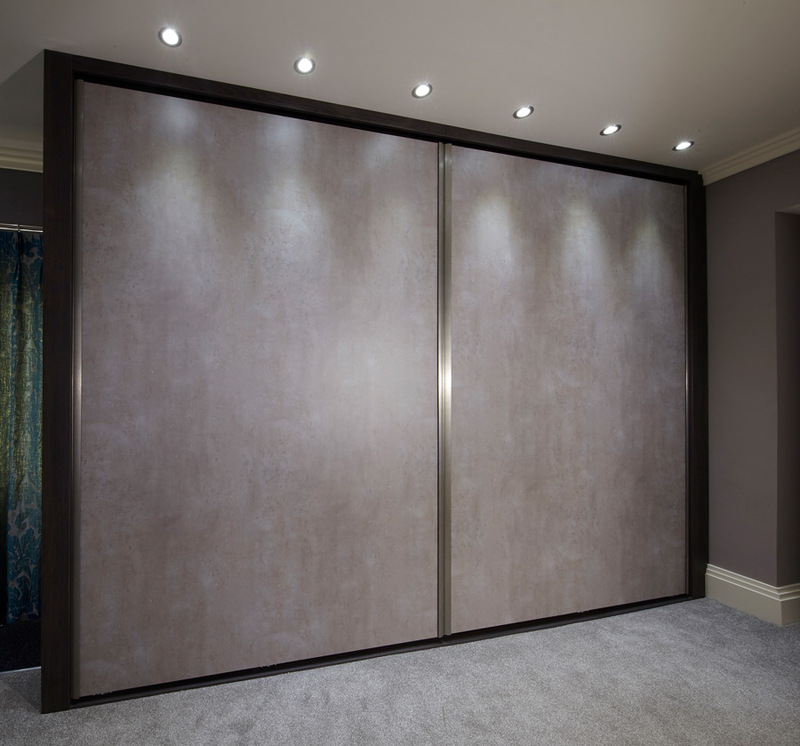 At Walk in Wardrobes we provide bespoke faux suede panels that can be applied to almost any part of the wardrobe. These panels are upholstered in house and are both durable and utilitarian and available in a varied colour pallet from soft muted colour tones to vibrant electric blues and reds. 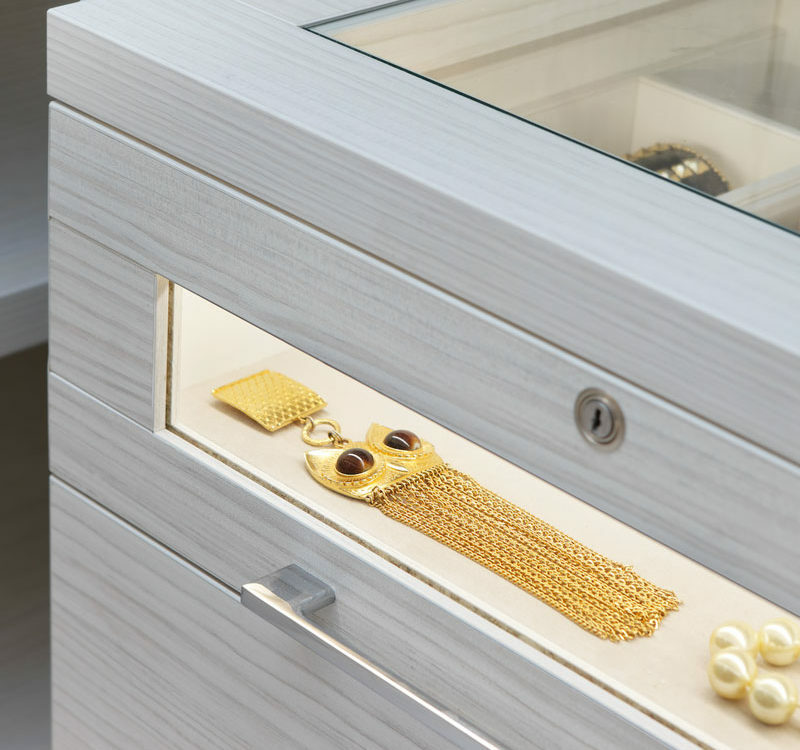 As an alternative to a solid material finish, colour or textured boards, an illuminated panel can be introduced in frosted Perspex or glass. This not only adds a feature and softens the room; it also injects light that will open up and brighten the space. 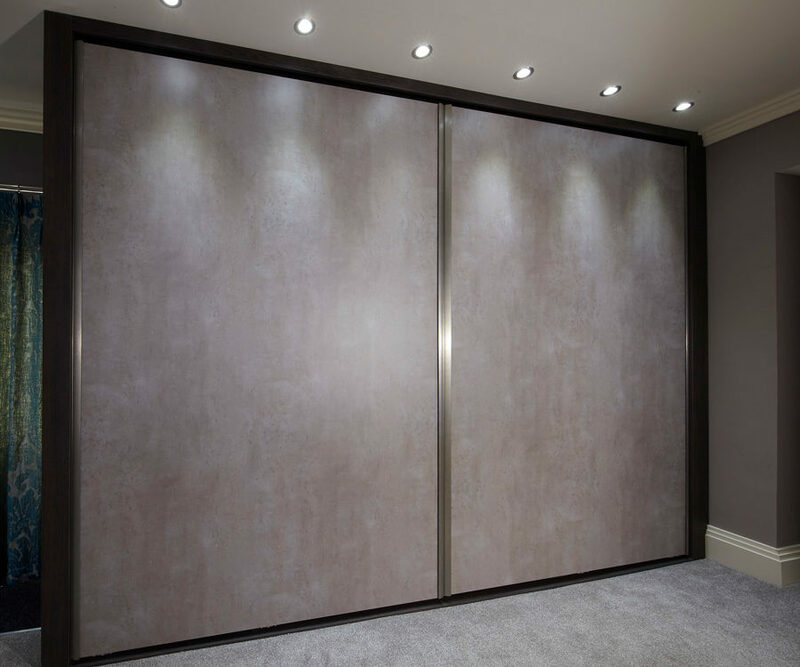 Sliding wardrobe doors or pull doors?